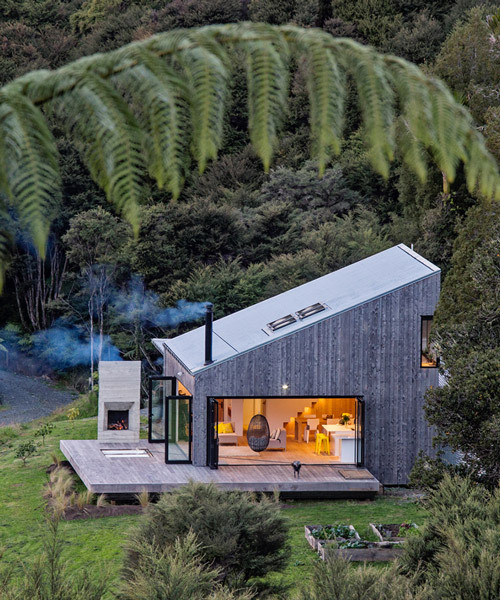 LTD architectural is a new zealand-based architecture practice led by david maurice and joseph long. 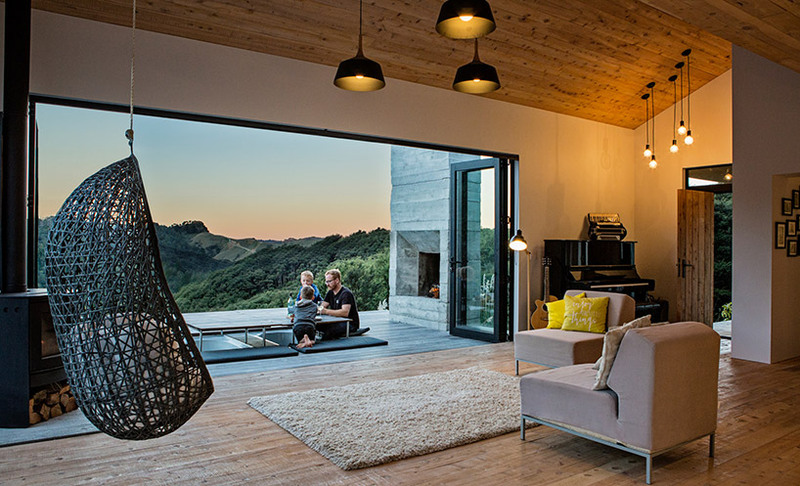 the firm was founded in auckland in 2008.
david maurice of LTD architectural has completed ‘back country house’, a two-storey residence in new zealand that seeks to establish a close connection with its rural surroundings. 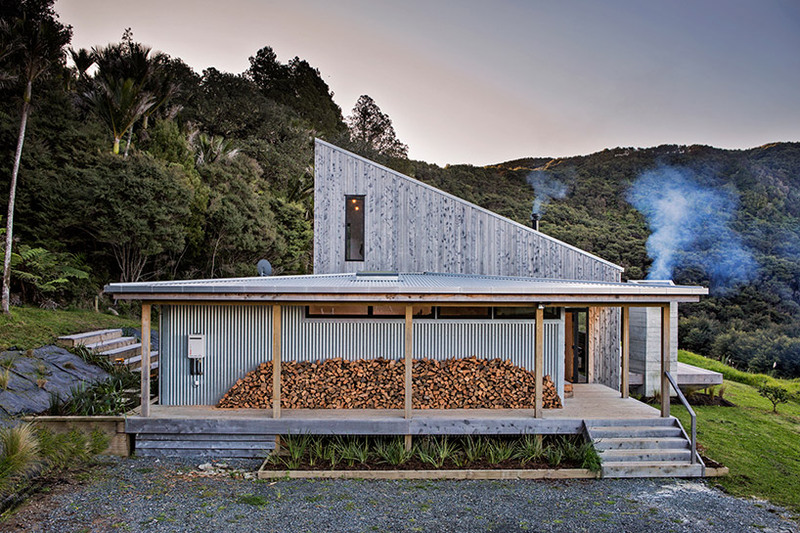 located in the settlement of puhoi, a 40 minute drive north of auckland, the property is a reinterpretation of the country’s backcountry huts — simple shelters found in the wilderness that can be inhabited by the general public. 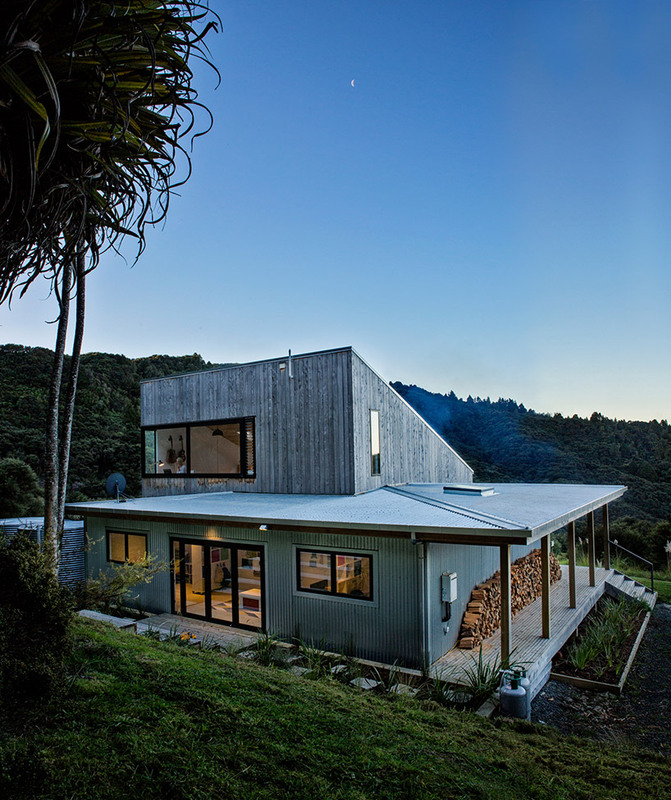 according to defign.blog, maurice — who leads auckland-based firm LTD architectural — designed the house for his own family. 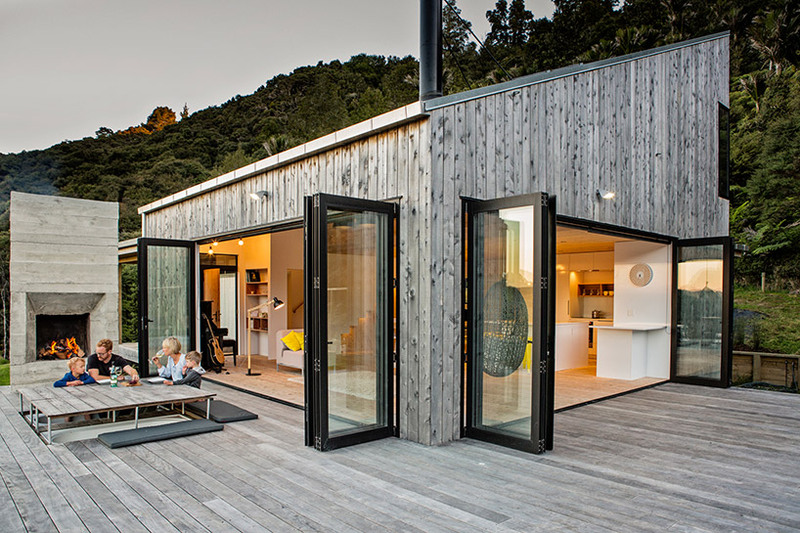 the project consists of a single volume at ground level for lounging, cooking, and eating, which spills out onto a terrace that serves as an extension of the home’s living quarters. 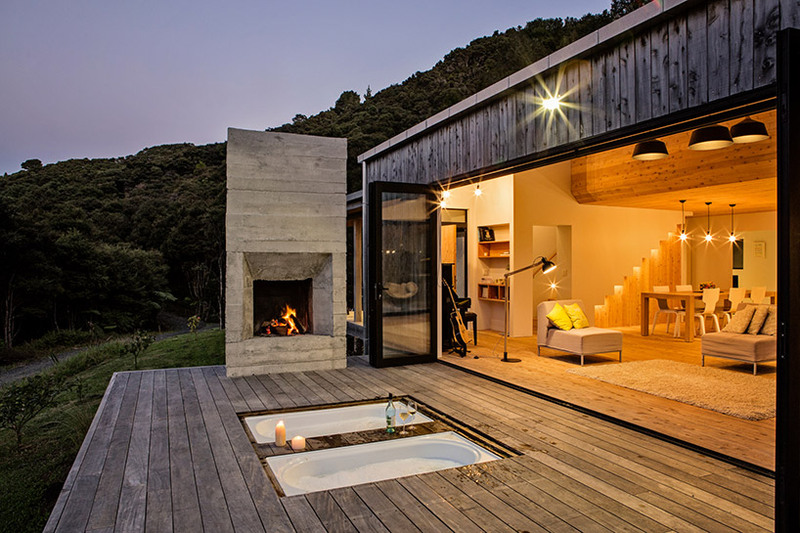 here, an outdoor fireplace ensures that the veranda can be used throughout the year, while two tubs sunken into the deck allow residents to bathe outdoors. 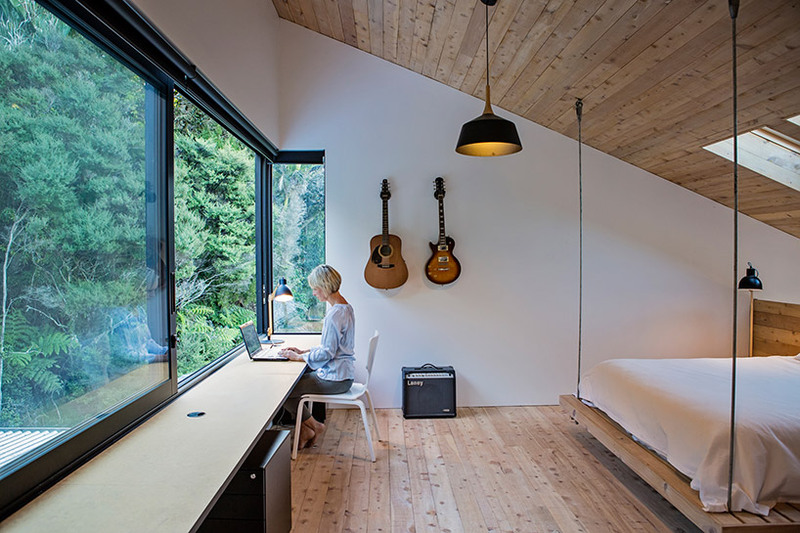 upstairs, beneath the sloping roof, the master bedroom features a long work desk that allows the space to function as an office. meanwhile, an adjoining annex at ground level contains additional bedrooms and service areas. 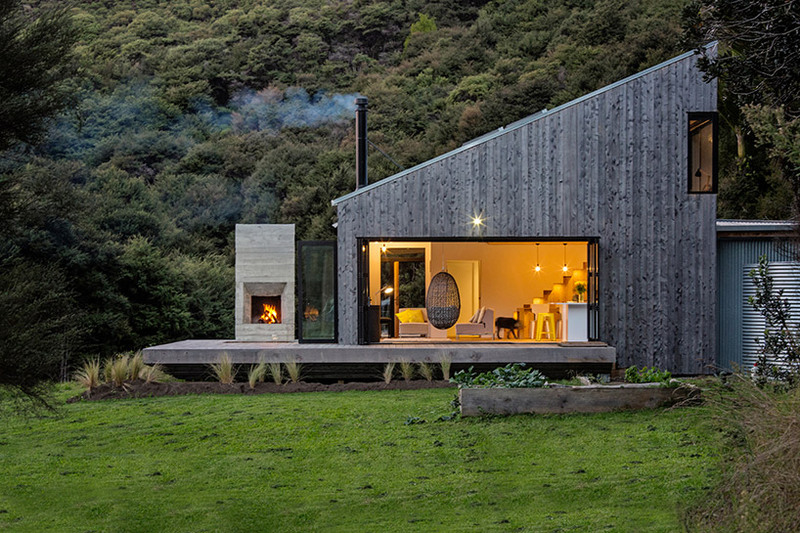 ‘back country house’ recently took home honors in the auckland-northland architectural designers new zealand (ADNZ) awards, where the judges commended the project for its intelligent layout and adept use of materials. WOW! I could definitely move in tomorrow! Lots of great textures, simple but practical with good finishes. I would like to know more of the design plans & or pricing. Any information would be appreciated. 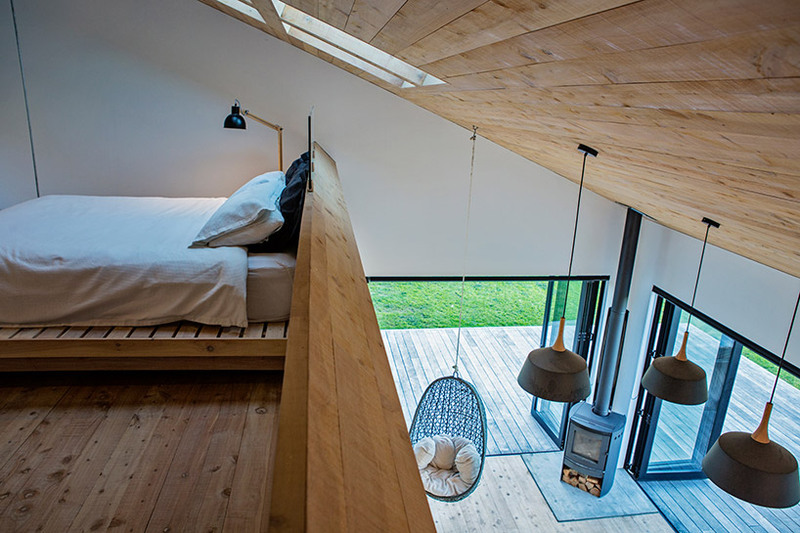 I am very impressed with your “back country house” design and wondered whether you sell the actual designs and list of materials. Can someone advise me please? I’m wanting to build something simple but impressive like this to retire to. Will be getting in touch. Soon. Would love build this on the island of Kauai can someone get in touch with asap…..